Lindsay Fleming was born in Sydney, NS and lives in Montreal, QC with her partner, David, and their four children. She has worked as a community artist in and around her NDG neighbourhood and is an active member of La Ruche d’Art NDG Art Hive. 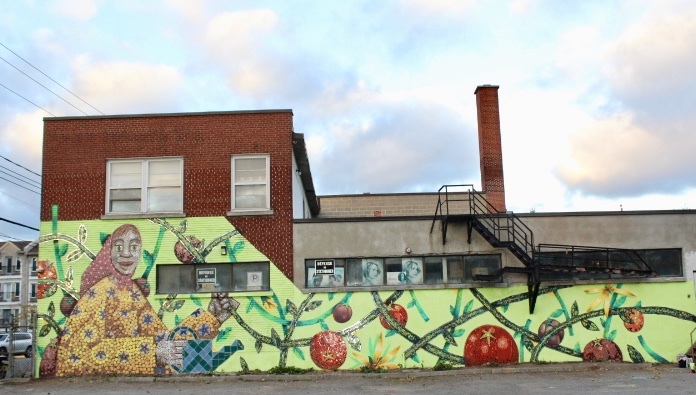 Lindsay thrives on large-scale collective, community art installations. Her personal works most often use charcoals and oil pastels to depict feminine shapes and forms. Lindsay is also a certified yoga instructor and former dancer. Her dance background and yoga practice fuel her creative process and inform her final pieces.